You know it’s necessary to invest in marketing, but do you know how much you should be spending? Or what tactics will pay off? If your marketing strategy largely consists of throwing money at the wall and seeing what sticks, it’s time to come up with a better budgeting plan. © Leverage Marketing, LLC. All rights reserved. Ready to get the guide and put it into action for your business? Tell us a little about yourself in the form below and we’ll email the PDF to you right away. Ready to get the guide and put it into action for your business? Tell us a little about yourself in the form to the left and we’ll email the PDF to you right away. 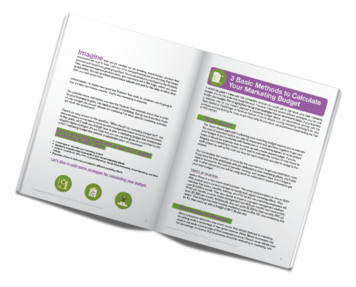 Learn how to nail down a budget that works with our 2017 Guide to Planning Your Digital Marketing Budget.